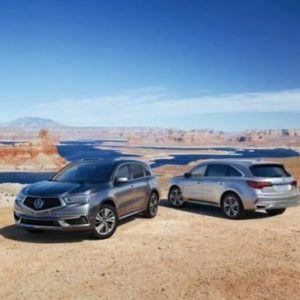 Acura has a little bit for everybody, and a lot for drivers of the MDX. 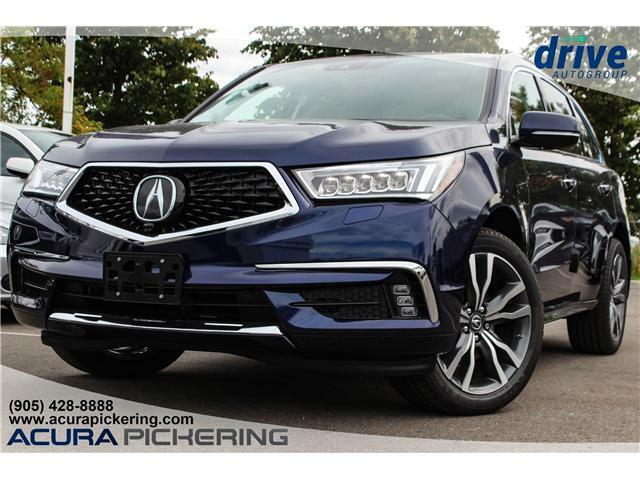 It once again sets the benchmark for the luxury Acura SUV and redefines the driver’s experience in a vehicle built for utility. Performance With that mighty engine, and superb handling there's nothing but power ahead. Technology Stay connected with your hands on the wheel. Interior It's beautiful on the inside. Precision-crafted 18″ alloy wheels receive an all-new redesign for 2017. Available 20″ design upgrades set the tone wherever it’s seen. 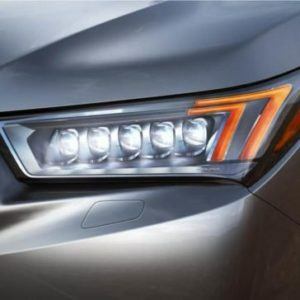 The restyled Jewel Eye LED Headlights, LED taillamps and available LED fog lights present an array of lighting with a total of ten separate high-intensity LED lamps and utilize ultra-reflective optical lenses to help provide brighter, whiter and more powerful, down-the-road illumination. The striking visual impact with precise focus allows the driver to see further and provides improved nighttime visibility. 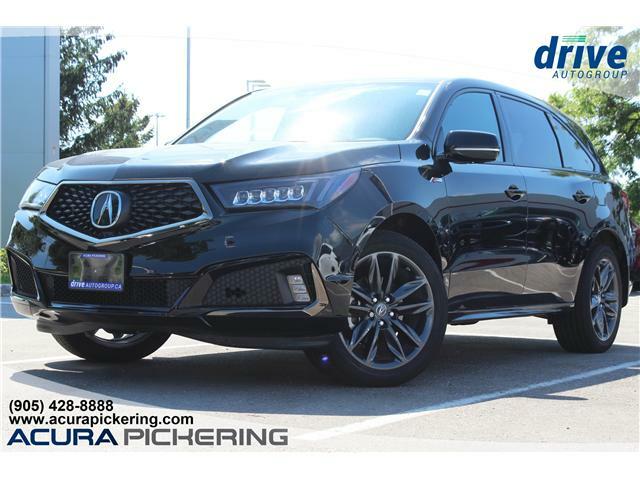 The restyled MDX makes no concessions and takes no shortcuts. Commanding front styling announces the new face of Acura – the bold Diamond Pentagon grille. 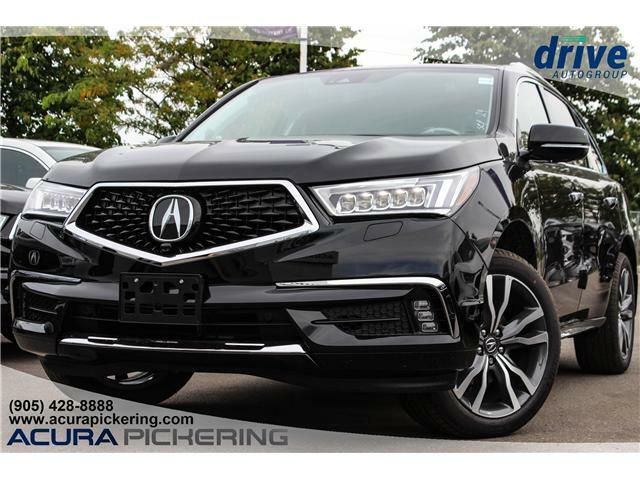 With the strong lines of a sculpted hood, front fascia and front fenders coupled with restyled Jewel Eye headlights and available LED fog lights, the MDX embodies Precision Crafted Performance. 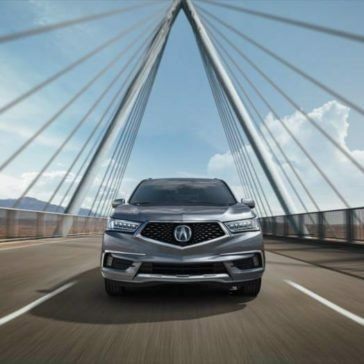 The standard, Super Handling All-Wheel Drive (SH-AWD) is designed to intuitively sense driving conditions and react accordingly by sending up to 70% of the torque to the rear wheels. At the rear, SH-AWD is also capable of mechanically splitting that torque by sending up to 100% to the rear wheel with the most traction. This system inspires confidence no matter what the driving intention or the road condition. With the Sequential SportShift 9-speed automatic transmission, more gears allow for the engine to operate at peak performance for optimal acceleration. When the paddle shifters change gears, they allow for immediate response with elegant delivery. 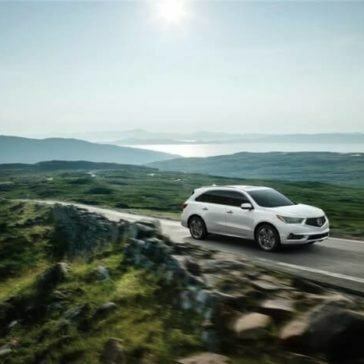 The Integrated Dynamic System (IDS) allows the MDX to complement the personality of its driver. 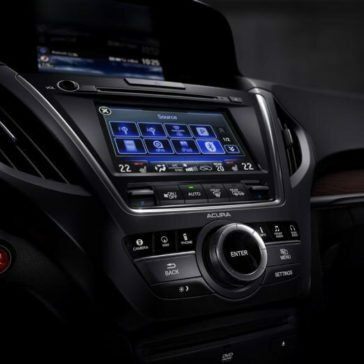 Choose between Normal, Sport and Comfort modes and it is designed to adjust the steering effort, throttle response, SH-AWD, and even the sound of the engine, to match the mood you want to set for the drive ahead. The fully independent front and multi-link rear suspension helps give the MDX the smooth ride quality that you’d expect from an SUV, with the enhanced control and reactive handling that you admire in a high-performance vehicle. 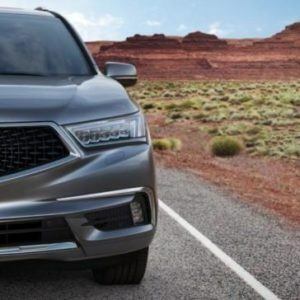 At the core of the MDX is a direct-injected, 290-horsepower, 3.5-litre, i-VTEC V6 engine with Variable Cylinder Management. 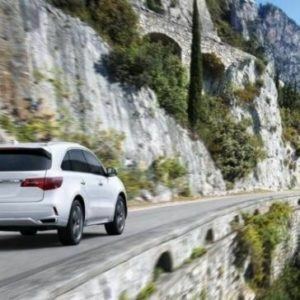 Your MDX instinctively delivers the power you need, when you need it. The Variable Cylinder Management helps the MDX realize improved fuel efficiency under certain driving conditions by automatically changing the V6 engine to run on six or three cylinders, depending on driving conditions. The standard bi-directional key fob allows you to communicate with your MDX. When you send a request to your MDX – lock, on the fob confirming that the requests were received. In cold weather, the standard remote engine starter will automatically set your car’s interior temperature to 22 C, turn on the driver’s seat heaters, heat the steering wheel, and actuate all external defrosters, ensuring you get off to a comfortable start, when the weather isn’t. To enhance peace of mind, the Tire Pressure Monitoring System (TPMS) continually monitors each tire and displays the precise pressure of each individual tire in the instrument panel. In the event of pressure loss, a warning appears, indicating the specific tire that requires attention. When filling a tire, the new tire fill assist feature notifies you with an audible alert when the recommended tire pressure is met, reducing the amount of time you have to spend outside your MDX on cold wintery days. 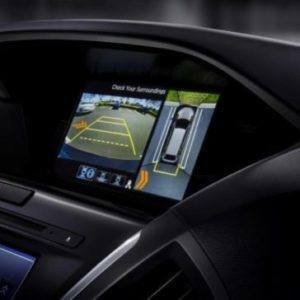 The multi-angle rearview camera with guidelines and the available surround view camera system are engineered to allow you to check a variety of blind sports when traveling at 12km/h or less. 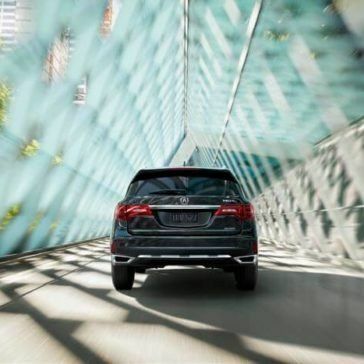 Using four separate cameras, views from all sides of your MDX can be displayed on the navigation screen. 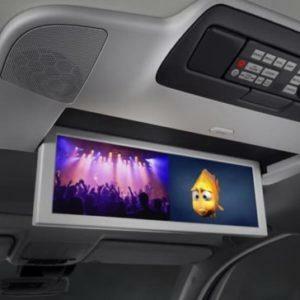 The system can also combine all angles together to create a 360-degree view around your MDX. 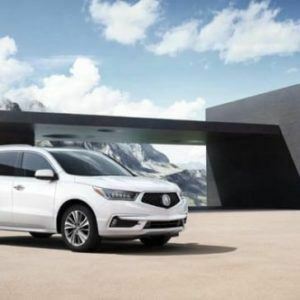 The MDX cabin augments the driving experience for driver and passenger alike. Select either a 7-seat configuration or 6-seat which features 2nd-row captain’s chairs with center console storage. 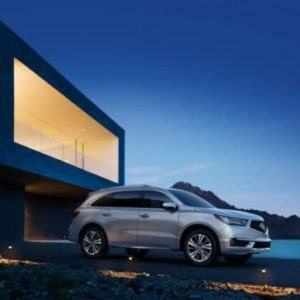 Throughout, ergonomically sculpted, tightly bolstered seating provides comfort while the MDX performs. 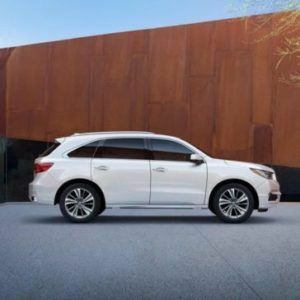 Driver and passenger seats feature 10-way and 8-way adjustments, while a remote-linked 2-position memory system for driver’s seat, steering column, and side mirrors have you feeling united with your MDX from day one. Simply press the illuminated One Touch Walk-In button and the second-row seats automatically fold and slide to their most forward position, improving third-row access like never before. A four-position recline and Smart Slide capability on the second-row seats also allows optimal balance between second and third-row legroom. Silver accents and ambient LED overhead lighting add touches of sophistication throughout the cabin. Available finishes like Premium Milano leather trim and a genuine olive ash or the new black limba wood trim help up the luxury quotient even more. A sense of personal comfort is all-encompassing in the MDX and the synchronized tri-sone automatic climate control with air-filtration system helps to ensure that. Keep the zones for the driver, front passenger and 2nd-row passengers all at their own desired temperature. 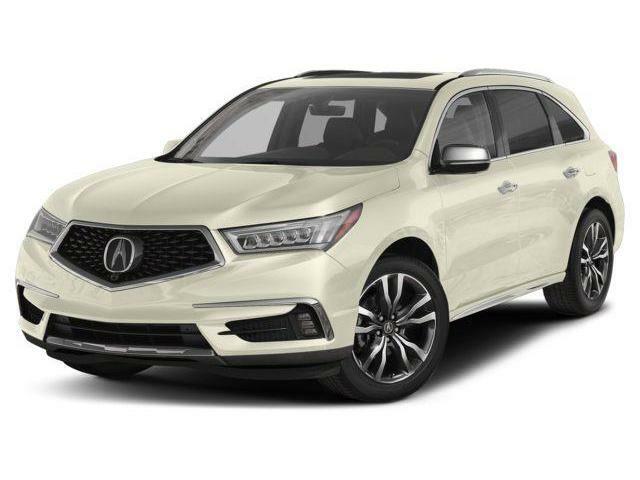 The standard heated front seats and available heated 2nd-row seats deliver additional cold-weather relief, while the available ventilated front seats offer warm-weather comfort. The standard heated steering and heated windshield, both help make the MDX a true all-season luxury SUV. Even more impressive, they can be activated remotely with the bi-directional remote engine starter key fob for those extra freezing cold days. A quiet ride made even quieter through innovation. Active Noise Control helps to cancel out engine noise by countering it with opposing sound frequencies emitted from the sound system. Active Sound Control smooths out the sound created by the engine itself as it goes through its full rpm cycle. Acoustic glass, expanding body sealers and a noise-reducing underbody liner round out the vehicle’s cocoon – making it as composed as it is confident. 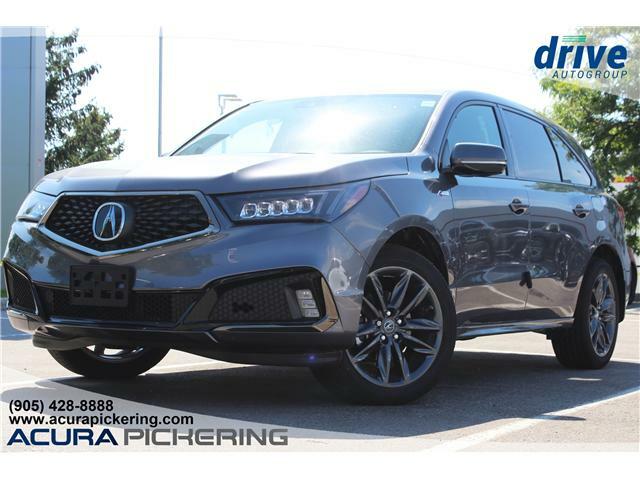 Acura Pickering proudly services and provides the both new and used Acura MDX models to Pickering, Toronto, Toronto, Ajax, Whitby, Oshawa, Bowmanville, Port Hope, Cobourg, Uxbridge, Stouffville, and Peterborough. §None of the features we describe are intended to replace the driver’s responsibility to exercise due care while driving. Drivers should not use handheld devices or operate certain vehicle features unless it is safe and legal to do so. Some features have technical limitations. 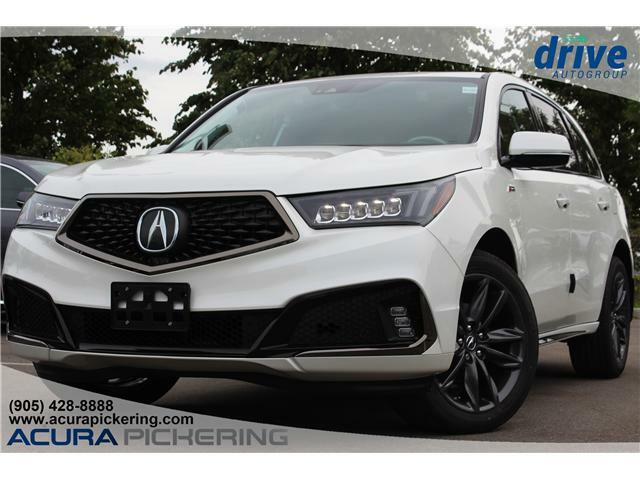 For additional feature information, limitations and restrictions, please visit www.acura.ca/disclaimers and refer to the vehicle’s Owner’s Manual. 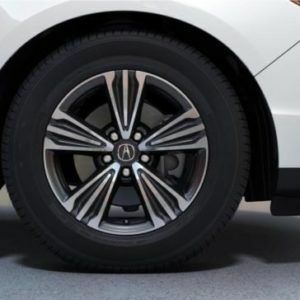 ‡For optimal tire wear and performance, tire pressure should be checked regularly with a gauge. Do not rely solely on the monitor system.